I rarely know what day it is. Probably because I don’t write checks very often or work a regular job. And probably also because I have a three-month-old and three-year-old at home, neither of whom has any concept of time. (Although I did get a laugh the other day when Jack, the three-year-old, told me that he “didn’t have time” to finish dinner. 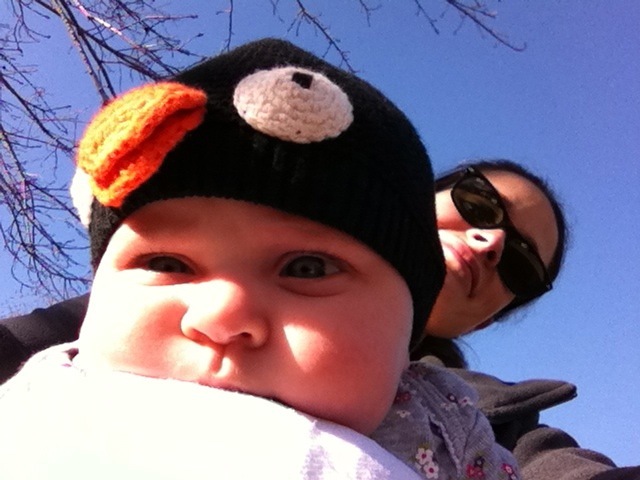 And that’s the thing about parenting … you can’t really get mad at them when they’re quoting you!). So, to figure out the date, I’m always counting forward or backward from a date that I do know. Like Valentine’s Day is Thursday, so today must be the 12th and tomorrow must be the 13th. (Yes, I’m really glad I paid attention in second-grade math.) Anyway, what got me thinking about all of this is that tomorrow is Ash Wednesday. And when it’s Ash Wednesday, I know that Easter is about 40 days away! 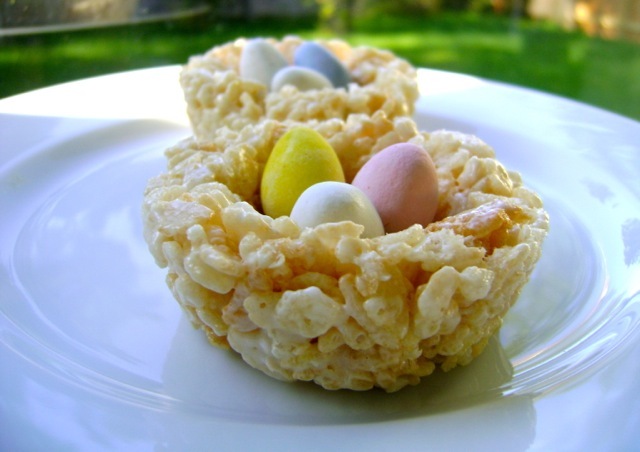 So, with Easter in mind, I’m sharing a fun project that Jack and I did last year for the kids in his preschool class: Rice Krispie Treat Nests with Candy Eggs. 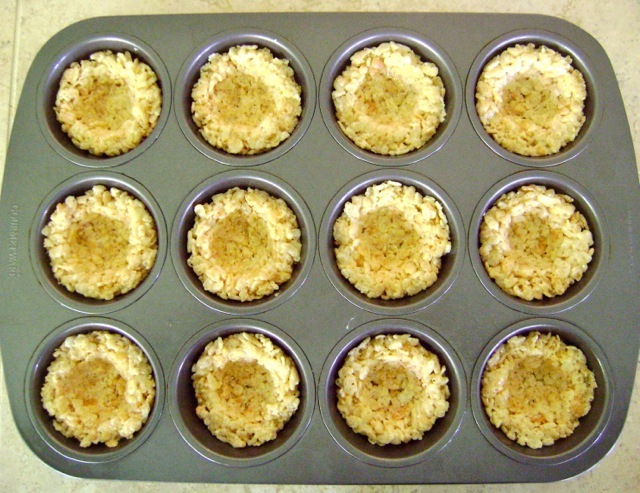 They are very easy to make and turn out super cute! 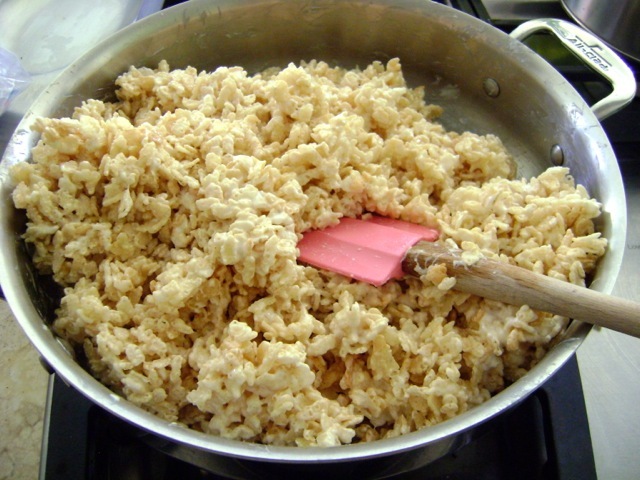 Make Rice Krispie treats as you usually would. 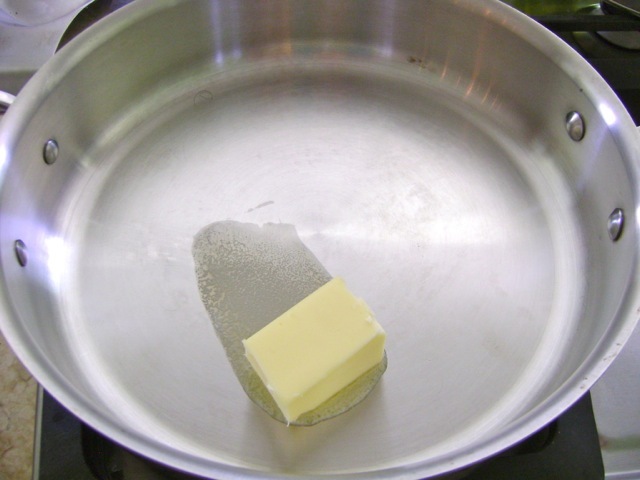 First, melt the butter. 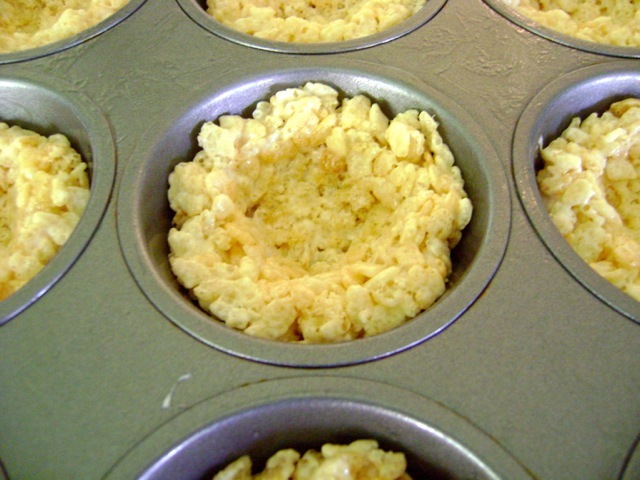 Grease a muffin tin with butter or baking spray. 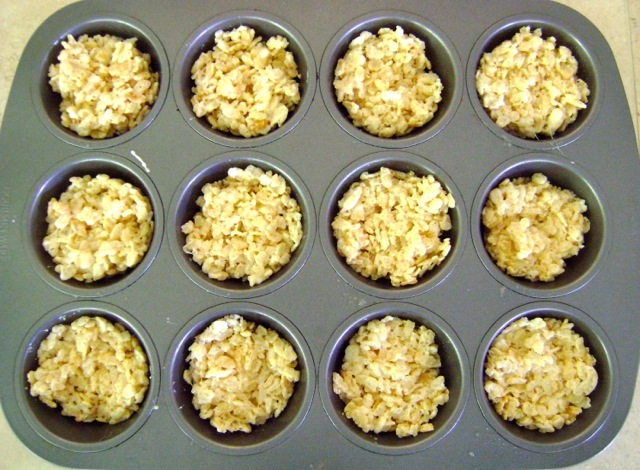 Fill the muffin cups with the rice-krispie mixture. 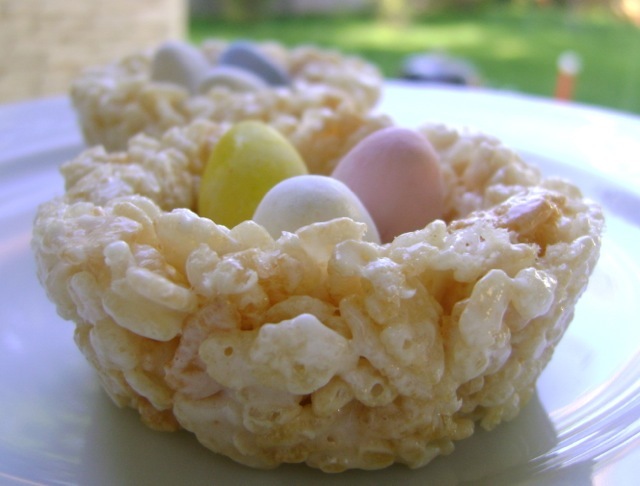 Using your hands, mold the rice-krispie portions into little nests, pressing down in the center to create a bowl shape. 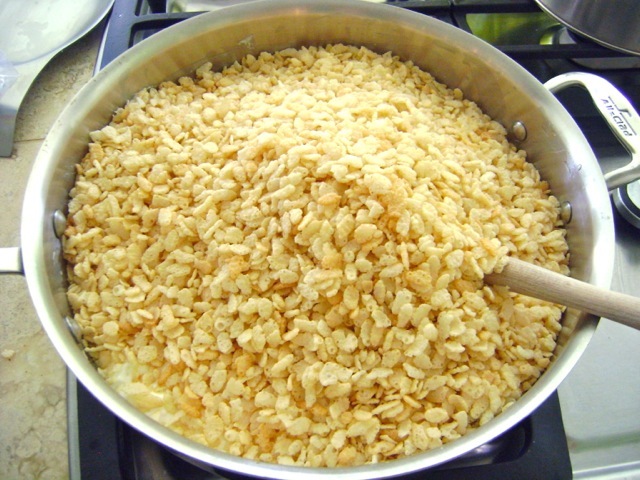 Grease your hands with butter, as needed, to keep your fingers from sticking. 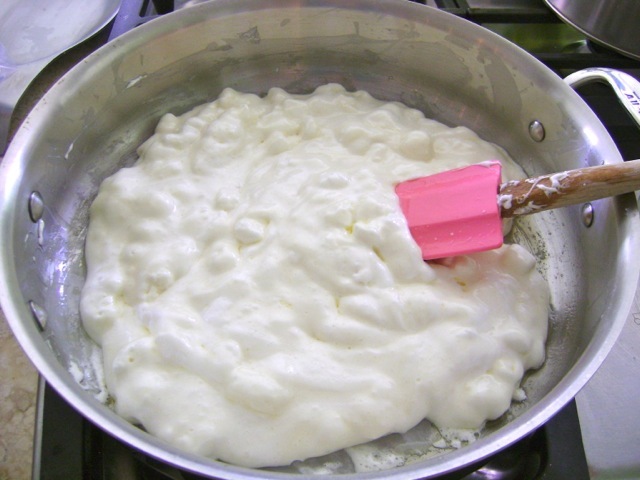 Transfer nests to a foil- or parchment-lined baking sheet. 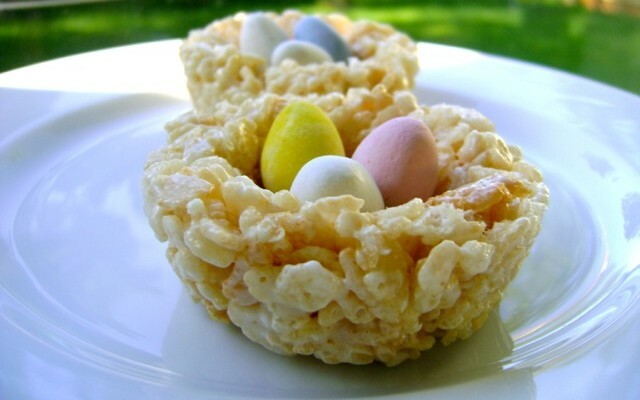 Fill each nest with a few candy eggs. 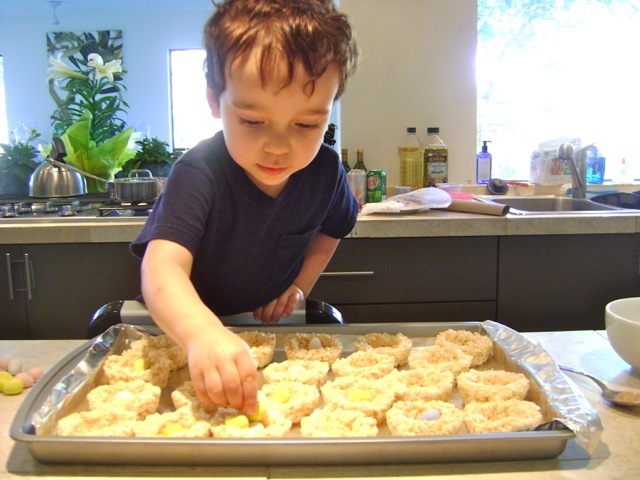 Jack loved placing the eggs in the nests … and sampling the eggs as he worked, of course! 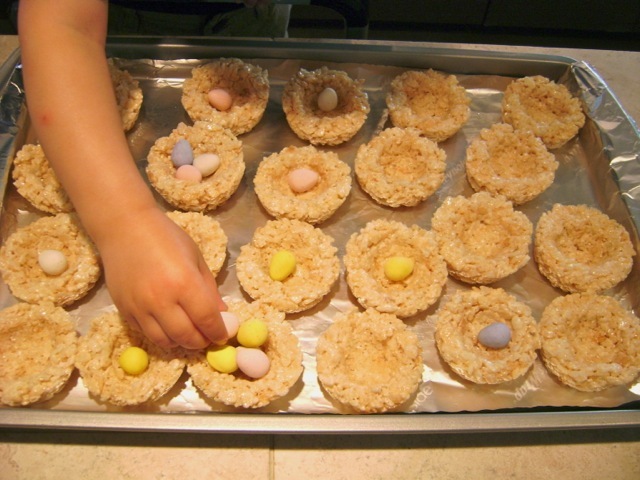 Place the finished nests on a platter and serve. 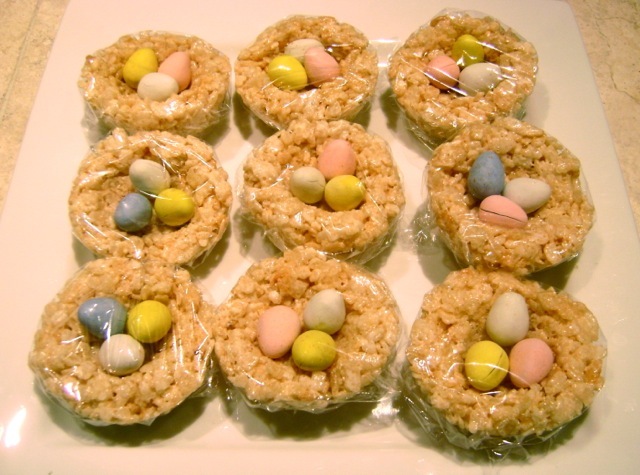 These would be perfect for an Easter party or brunch. Or, if you want to give them as gifts, you can wrap them up in plastic wrap and hand ’em out like that. Either way, hope you enjoy! What a great idea! 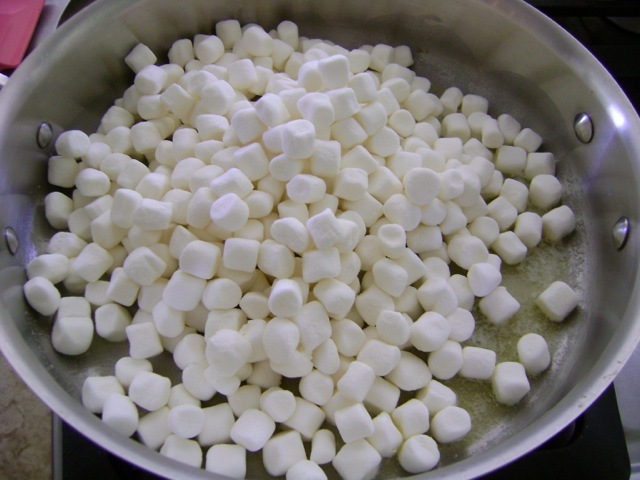 I plan to make some to share this year.